I love the world of Ever After. I know that if I was a little girl right now, I would be collecting all of the dolls and getting the notebooks, stationary- everything! Come on, the author of the series is Shannon Hale- I LOVE Shannon Hale! How could I NOT like these books? The second of this series was as fun as the first. I love that the author doesn't take the characters or the story too seriously. 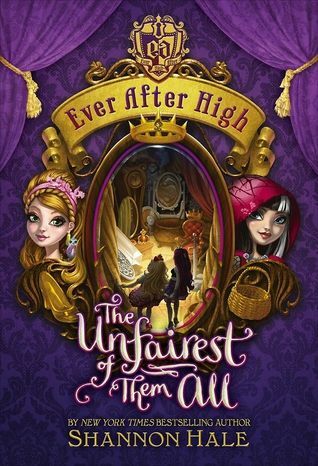 The books are funny, charming, and everything I would hope from a kid's fairy tale series. I love the voices that the author has given to these characters- they are so fun to read about. If you haven't checked out this series yet- you really should. It is such a cute series that are genuinely good reads. I hope that the author keeps cranking these books out- because I will keep reading!